It was a success for us here. It started off at 0945 hours and went until 1700 hours. The time seemed to pass fast as we were busy coordinating things for the different levels of users. 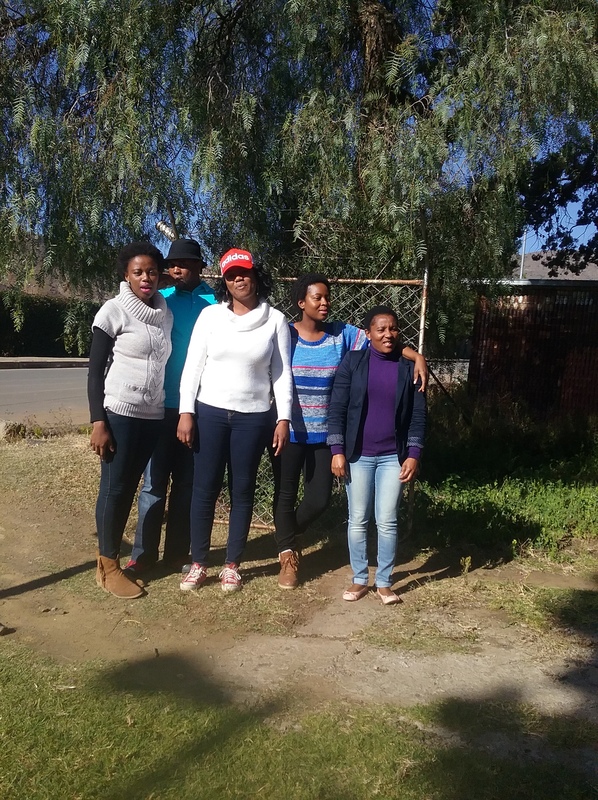 There were nine of us Mosa, Mpaleng, Ntjalleng, Tanki, ‘Malikupa, Makoakoa and Lereng, the Community Council Secretary (Rethabile) and me who brought us the modem from 50km in the south where it was mapping in Quthing yesterday and the day before. We started by creating OSM accounts for the five people who didn’t have them. Like we have known from the advice in LEARNOSM we had them on the ID Editor, while others who were not first time users used JOSM. We read the the task instructions. In some ways it is easy for new people to adjust, since they don’t know what was mapped in phase 1, we just said “kaekapakae”. As we went along we discussed things as we encountered them, like Kralls and how they should be marked as “walls” in ID and “barrier”=”walls” in JOSM. The day started off slowly and progressed as it went on. The first 1% of the task took a while to reach. We joked that we were going too slow considering that there was #MapLesotho royalty in the room. There will be a follow up mapathon here on the 29th where hopefully we will be moving faster and more people will take part. The goal for the Mohale’s Hoek Mappers is to have a detailed map for Mohale’s Hoek, and they want to be the first to finish.